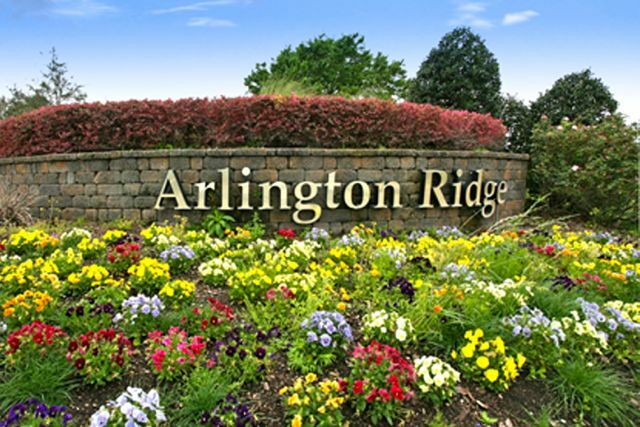 Life at Arlington Ridge is like a never-ending vacation but is affordable as it is one of the best priced 55 and over communities in the area. Arlington Ridge in Leesburg, Florida, is a vibrant 55+ community. Built by D.R. Horton, this gated community will have 629 homes when completed. Many of the lots have views of the golf course. and all of the homes have concrete block construction. The interiors have open spaces with flexible areas that can be customized in new construction. Home buyers can choose from two home series at Arlington Ridge. The first series offers six floor plans constructed on lots between 54 feet and 65 feet wide. The second series provides a choice of five models on home sites which are 72 feet wide. Smaller floor plans have two bedrooms and two baths. The larger floor plans offer three bedrooms, two-and-one-half-baths and a den. At Arlington Ridge, the houses have upgrades as standard features, including crown molding, screened lanais, high ceilings, ceramic tile, maple cabinets, and gourmet kitchens. Arlington Ridge is designed around the Village Green Clubhouse. Residents have available a spa and fitness center, with cutting-edge exercise equipment, ballroom, meeting and craft rooms, a library with a fireplace, and a business center with eight computer stations. The village square has three restaurants: O'Hara's Pub, Chesapeake Bay Grille, and The Village Tavern. Located in the Village Green is the Fairfax Performing Arts Hall, which has a seating capacity of 750 and also includes the 50-seat St. Charles movie theater. Outdoors is a golf practice complex and driving range. The 18-hole championship Arlington Ridge golf course was designed by Gary Koch and helps environmentally by using reclaimed water. The community has a lap pool and a large, resort-style pool, tennis courts, two pickleball and two bocce ball courts, plus two horseshoe pits, a community garden, scenic walkways, biking trails, a picnic area, and RV and boat parking. The city of Leesburg is a two-hour drive to the Atlantic Ocean, less than one-hour to Orlando, and just ten minutes to the Lady Lake area. Leesburg has attractive shopping areas, restaurants, and modern medical facilities. The Lady Lake area has numerous bodies of water that Arlington Ridge residents can fish, water ski, and boat in. Orlando provides world-class entertainment and educational opportunities. Among the many attractions are Walt Disney World, the Epcot Center, Sea World, Ripley's Believe It or Not Museum, Appleton Museum of Art, Gatorland Park and Wildlife Preserve, and Cirque du Soleil. Orlando also has an international airport, many ethnic and fine-dining restaurants, and several medical centers for residents to enjoy in the Central Florida area.